Many of us say hello and goodbye to each day as we watch the sun rise and set. Viewing spots throughout the nation hold annual celebrations on New Year’s Eve and on the day of the New Year to welcome this once-in-a-year event. 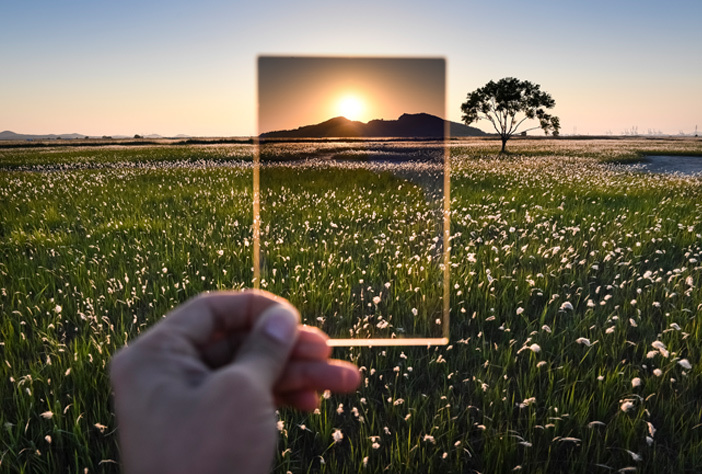 While the last sunset of the passing year and the first sunrise of the new can feel extra special, inclement weather or simply oversleeping can hamper any viewing plans. 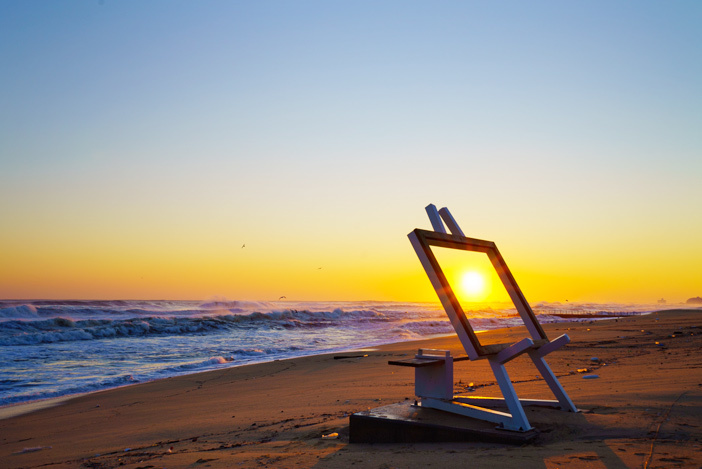 Thankfully, the very nature of the sunrise means you have a chance to watch it every day! If you’re looking for ways to start out your year with some positive energy, head to one of our recommended viewing spots! 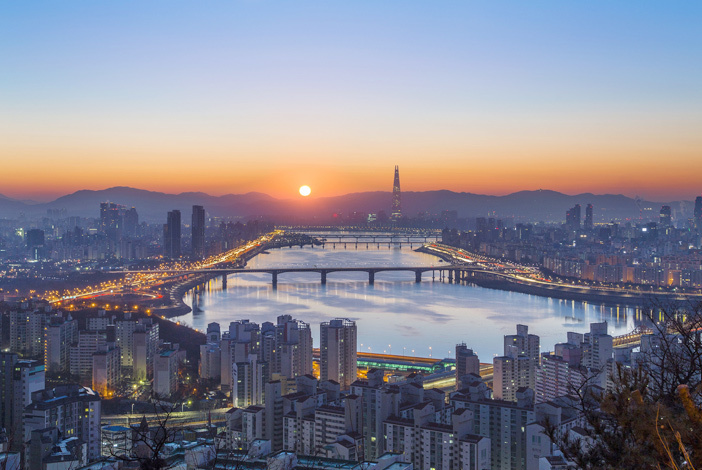 With its refreshing, spacious view of Seoul, Haneul Park, meaning “sky park” in Korean, is a famous spot to seek the sunset and sunrise. 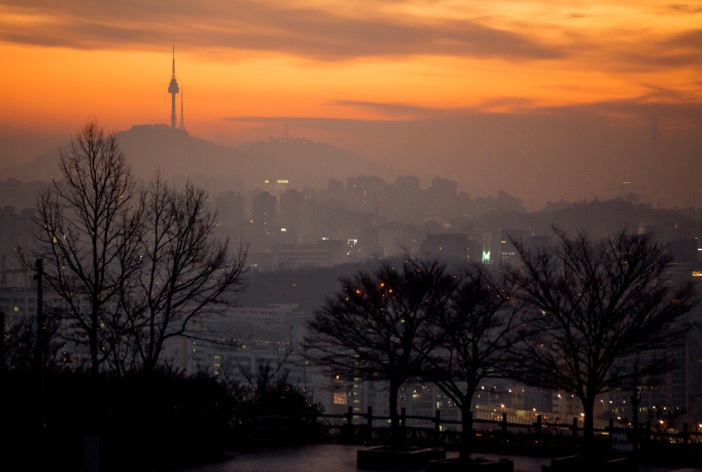 Walking up the stairs to Haneul Park at dawn right before sunrise gives off a tranquil atmosphere with its surrounding shades of deep blue and crimson light. 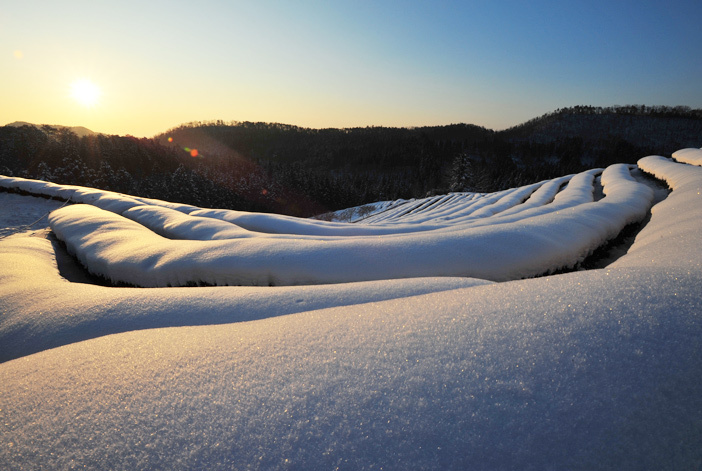 Haneul Park Sunrise Event takes place annually on New Year’s Day to commemorate the coming of the New Year. The octagonal pavilion atop Maebongsan Park in Jung-gu, Seoul is well-known for its beautiful view of the sunrise. In the weeks before and after New Year’s Day, the park is filled with photographers looking for that perfect shot. From here, you can take in the urban forest of skyscrapers cut by the wide Hangang River, and even Lotte World Tower & Mall in the distance. 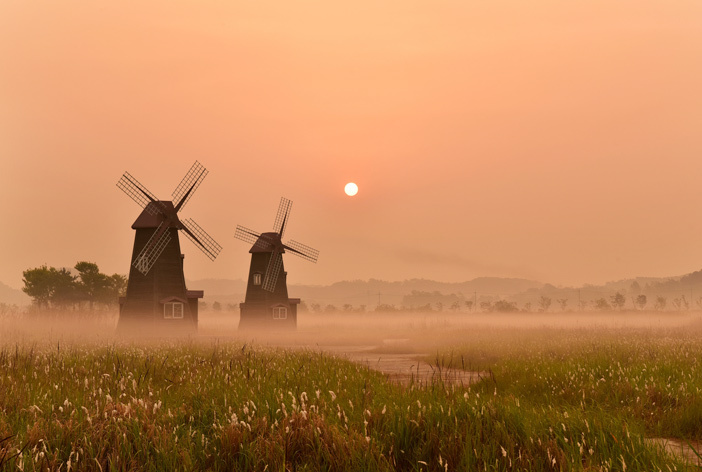 If you’re looking for more of an exotic sunrise view, head to Incheon’s Sorae Ecology Park. The sun rising behind the windmills in the field will have you feeling as if you traveled to the Netherlands. On winter mornings, the whole park is filled with mist rising off the marsh, providing even more light diffraction for a fantastic sunrise. 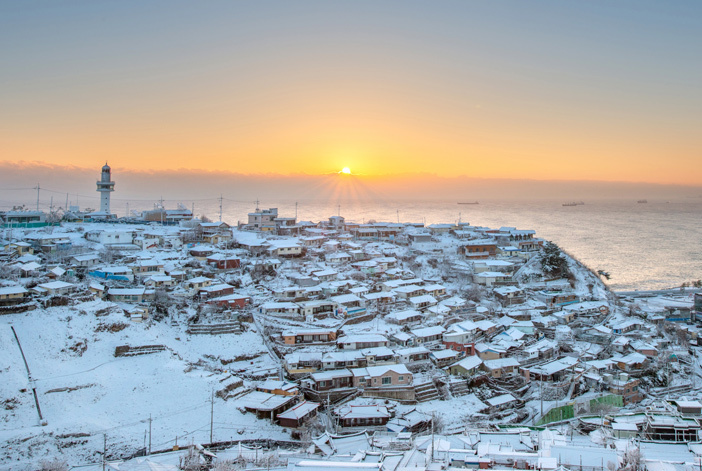 Of the many ports and harbors along Gangwon-do’s coast, Mukho Port is perhaps the prettiest, with its small, charming fishing village. Visitors can’t help but fall in love with the cheerful murals along Nongondam-gil Road, and the coastal sunrise views afforded from Mukho Portside Park and Mukho Lighthouse. If you’re looking to relieve your stress from everyday life in the city, take a trip to Donghae! Gyeongpo Beach in Gangneung is one of the top sunrise viewing spots among Koreans. Every year on January 1, the area around the beach is filled with people enjoying the sunrise festival. The sun rising over the ocean fills the sky, helping to clear one’s mind and focus on positive thoughts for the year ahead. - Gangneung KTX Station departure: Approx. 15 min by taxi. 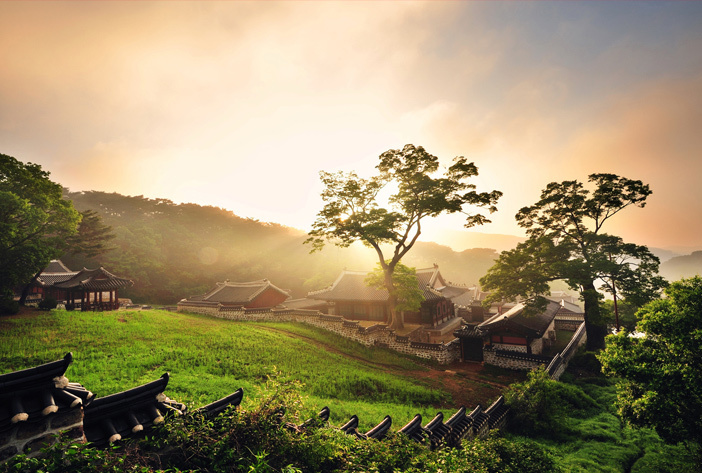 Boseong has been home to Korea's tea production for years, yielding nearly 40% of all the tea leaves in the country. Among all the tea plantations here, Daehan Dawon is perhaps the most famous. Its long lines of rounded tea plants marching up the steep hillside often appear in commercials and films. To view the sunrise, you'll have to enter before dawn; tickets can be purchased from the automatic ticketing machine at the entrance. Akkeundarangswi Oreum is a volcanic cone located in Sehwa-ri, Gujwa-eup, Jeju. The name comes from attaching the Jeju dialect for small, “akkeun,” to the name of the larger Darangswi Oreum to the southeast. This previously rather hidden gem has become quite popular in recent years. 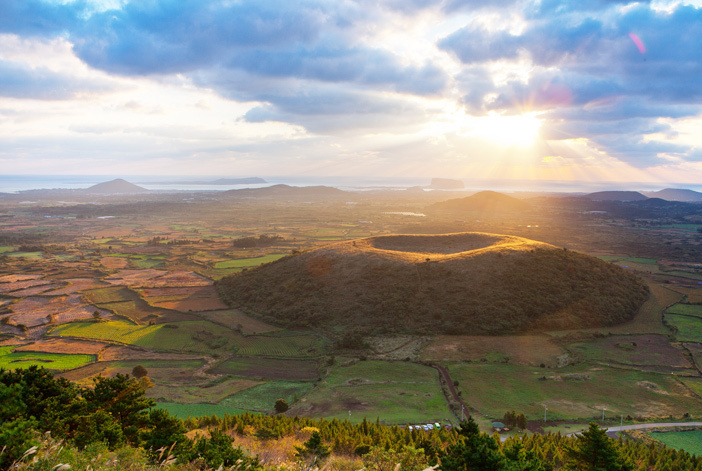 The small volcanic cone is easy to hike up, making it a great sunrise viewing location for people looking to surround themselves with nature.